Get the most out of Google Apps with Add Ons. 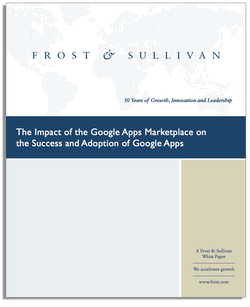 In this white paper from the Cloud Alliance for Google Apps you can discover how organisations who have adopted Google Apps for Work are driving efficiencies in their business by introducing highly integrated third-party solutions that enhance and extend the core functionality of the native Google Apps suite of products. Replace Microsoft Office and other Windows applications with innovative cloud solutions. Integrate these third party solutions with your Google Apps for Work domain to provide users with a seamless experience. Share data between all of the apps in your domain.